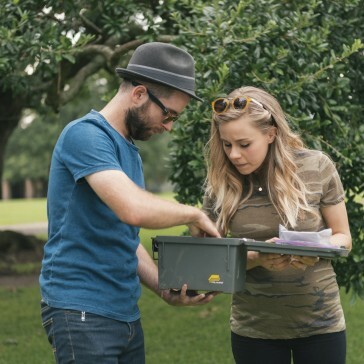 With over fifty geocache locations to find, Houma offers one of only fifty GeoTours in the whole world. Choose to complete our two phases of our tour over many visits, or make a weekend out of it and enjoy Houma's great food and hospitable accommodations. 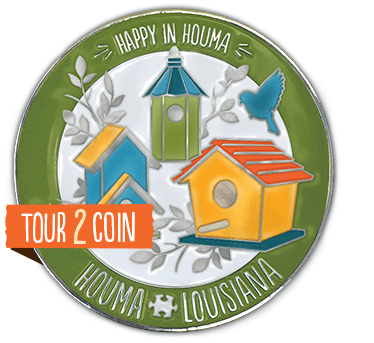 When you locate all 21 caches on the first phase of the tour and/or 30 caches on the second phase of the tour, you will receive a signature Houma Travel geocoin(s). 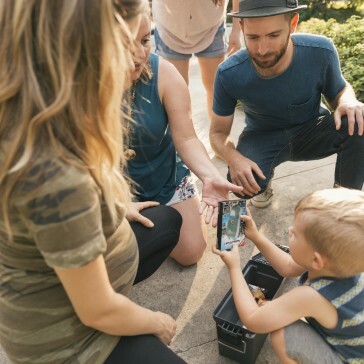 Geocaching is a free outdoor treasure hunt. 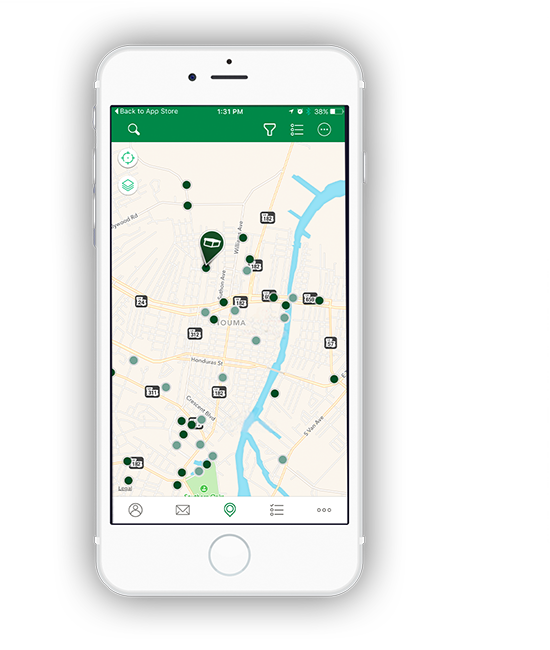 Experience Cajunicity and explore Houma through our unique GeoTour. 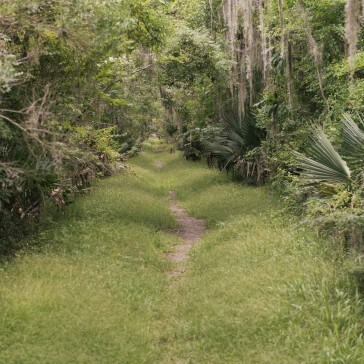 Discover Houma’s rich history, breathtaking landscape and diverse culture as you locate each hidden cache. 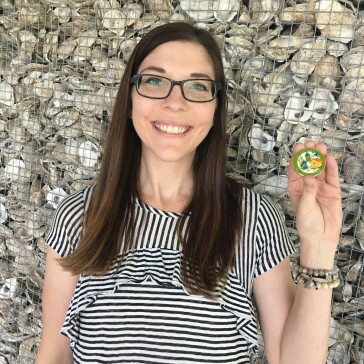 After locating all 21 caches on the first tour and/or 30 caches on the second tour, take your game sheet to the Visitor's Center to receive your geocoin(s). In order to locate a cache, you'll need either a GPS device or GPS-enabled mobile phone. You will also need to signup for a membership on Geocaching.com, and a basic membership is free. Once you locate the cache, write about your discovery in the logbook, which is located in the cache, but don’t forget to leave the logbook in the cache for the next person to write in. If you decide to take an item from the cache, you must replace it with an item of equal or greater value. Then, go to Geochaching.com and record your adventure. Geocaches range in size from Micro (less than 100ml) to Large (20L or larger). Some are also listed as “Other,” and you’ll need to see the cache description for more information. 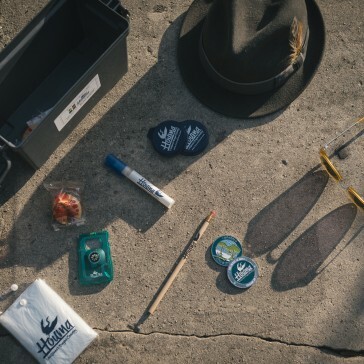 Caches come in all shapes and forms; it could be a clear plastic container, a canister or a secret compartment in a fake rock. You can get a general idea of a cache’s size by reading the caches description. Well, that’s part of fun! You never know what previous cache visitors have left behind in the cache. However, a cache will always contain a logsheet or logbook for you to document your find. What should I do once I’ve completed my game sheet? Congrats! You’re now a professional geocacher! Once you’ve located 20 or more game pieces, take your game sheet to the Visitor’s Center and collect your reward — a special geocoin. Who can participate in the geotour and finding caches? Children and adults can take part. So, find a friend, team up, and get out there! How long will take to complete the game sheet? It takes two full days to find at least 20 caches. Share a picture of your GeoTour journey with us. Use #GeoHouma when you post your picture to social media, and it'll be added to our gallery. Need a break? Grab a bite and try some of the South's most popular meals, like gumbo or étouffée. Join one of Houma's fishing tours, which are available year-round. Stay updated on what's going on in Houma - sign up for our newsletter.